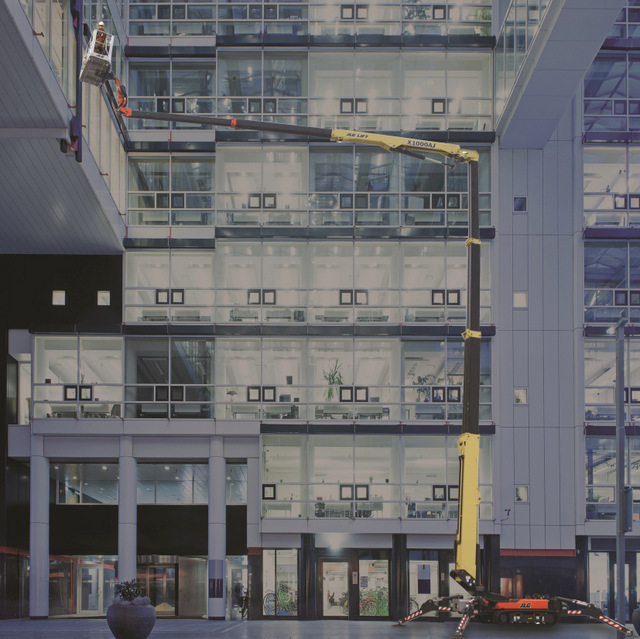 JLG Industries Inc., an Oshkosh Corporation company and a leading global manufacturer of aerial work platforms and telehandlers, announces that the new JLG X1000AJ Compact Crawler Boom (CCB) is now available. The latest of four JLG CCB models brings the CCB line into the 100-foot height class. This model was previewed in February 2018 at The Rental Show in New Orleans. SkyGuard enhanced control panel protection comes standard, continuing the company’s commitment to enhanced control panel protection. An advanced technology 76 Volt lithium-ion system is available to provide clean, quiet operation and performance comparable to, or better than, traditional gas engine power. A Kubota diesel power source is standard. The X1000AJ comes with fully synthetic biodegradable hydraulic fluid for use in environmentally sensitive areas. To learn more about JLG, click this link. We’ve made it pretty clickable.